International shipping wasn’t spared by the 2008 worldwide financial crisis. The sudden decrease in consumer demand not only affected manufacturing and retailers, but also the need to transport goods. This, in turn, drove shipping prices higher, which was passed on in retail prices, and led to weaker consumption, in a seemingly inescapable vicious circle. However, with global and national economies now on the road to recovery, the shipping industry is feeling more positive. International freight-forwarding has been growing steadily for the last couple of years and is expected to continue doing so, and this optimism is reflected in the fact that shipping companies are investing in their fleet and their commercial strategies, and governments in port infrastructures. A trend which has recently emerged is that of so-called ‘superships’, remarkable by their size. The first of them was launched by Moller-Maersk and is the biggest ship in commercial shipping history. Nicknamed ‘Triple-E’ for beingEnergy efficient, Environmentally friendly and producing Economies of scale, those ships are said to need about a third less fuel than a normal-sized ship. In response to this fundamental change, ports have had to adapt to be able to accommodate those ships. 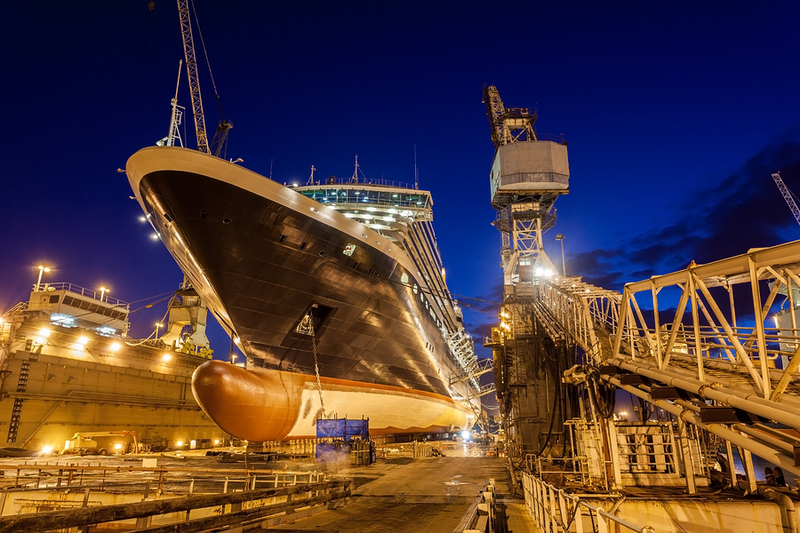 Not only did it mean upgrading dockyards, but also rethinking equipment such as cranes with greater vertical clearance and outreach. In addition, the ship building industry has also undergone a technological transformation for the better, with the production of increasingly fuel-efficient components such as propellers, and vessels designed with Computational Fluid Dynamics (CFD) tools and model testing, resulting in reduced oil consumption. Despite the fact that our societies are becoming more virtual through the use of internet-based technologies, commercial maritime shipping is as crucial as ever to get goods from factories to consumers. Carrying 90% of all cargo, it nevertheless needs to continuously innovate to stay competitive.